What woman doesn’t love a Nicholas Sparks book? After a string of them and successful movie remakes, he’s a household name for romance novel. 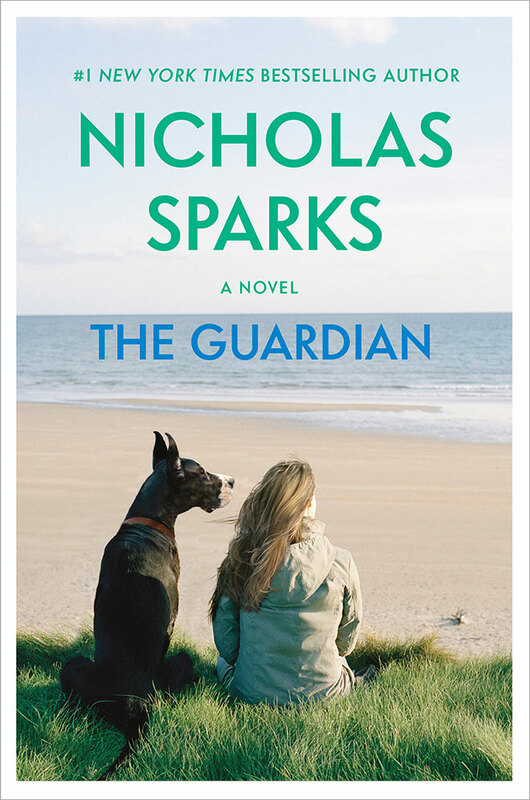 But what I loved about the Guardian is that though it’s a romance novel, it’s a thriller. Every quickly-turned page leaves you hanging in suspense and more than once thinking oh no, oh no! The first few pages, we meet Julie, a recent widow in what seems like the darkest moment of her already hard life. Just when she’s complicating on why she’s trying to go through the motions of moving on, a delivery shows up at her door from he late husband Jim, and Singer enters the scene. Fast forward four years, and Julie has moved past the hurt of losing her husband largely in part to her Great Dane, Singer, and her friends. Mabel, her boss and late husband’s aunt, employs Julie at her hair salon in their small town, and treats her like a daughter. Julie’s best friend, Mike, is a mechanic at the auto shop he co-owns with his brother, Henry. Henry, his wife Emma, and Mike were Jim’s friends growing up. When Julie decides to start dating again, the local dating scene was pretty slim until Richard walks into the picture. Attempting to sweep Julie off her feet, he lavishes her with fancy dinners, exciting dates, and expensive jewelry. Julie, always cautious, can’t help but wonder if she’s falling for him. But one person always stays in the back of her mind…Mike. Though it’s been clear he’s been in to her for a while, she wasn’t sure if it was such a good idea for them to be together- how would it affect their friendship? Eventually Julie finally realizes that there was no chemistry with Richard, and that she should take a chance with Mike. Richard doesn’t take this very well… and that’s a huge understatement. But I don’t want to give too many details away yet, so all I can say is eventually, it becomes a race against Richard to keep Julie, Mike, and Singer safe. Now, I’m definitely recommending this book. It’s a quick, thrilling read, and animal lovers will both love and hate this book, in a good way. I’ve already passed my copy along to a coworker!